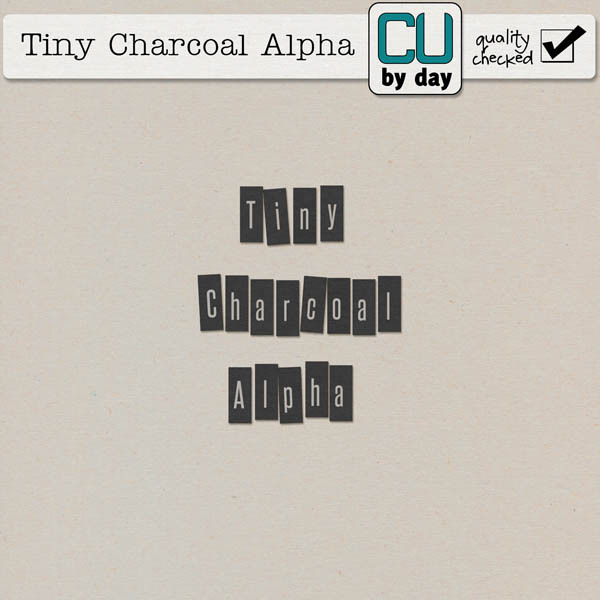 CU by Day: Tiny Alphas.. my all time favorite!! Hi all, I am so excited to share these alphas with you. I use them constantly and love them, I figured it was time to share the love!! They are small and cute and perfect for titles, word art, word bits... you can sew them, staple them, pin them.. the possibilities are endless! I have had the cream ones for a while, but I made a charcoal and a kraft set too so get ready to start seeing those on my pages too! Each alpha is on sale this weekend only for 25% off so get them now while the deals are hot! Thanks for reading, have a super weekend!